Acupuncture as a medical therapy has been used in humans for many years as a way of relieving pain and improving human health.Recently,it has also become increasingly utilized to help animals.As interest in veterinary acupuncture has grown, more and more practitioners have sought the specialized training needed in order to learn the various acupuncture points and how they relate to animals. 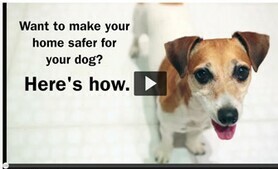 Today, well over 2,000 U.S. veterinarians practiceacupuncture in the United States. 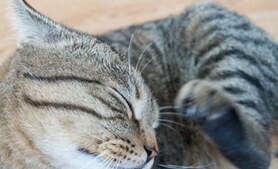 When pet owners bring their animals to a veterinarian who practices acupuncture, the therapy is often employed to help withpain management, digestive support, nerve functionandmuscle relaxation, among other issues. 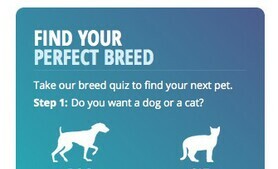 One of thequestions pet owners oftenask is whyveterinary acupuncturistschoose the points that they do. Let's take a look at three frequently utilized points to find out what they do to enhance health and why they are located where they are. Chinese medicine explained acupuncture by using metaphors related to the climate and the world at large. However,modern science clearlyshowsthat acupuncture works through signals sent throughout the nervous system, no longer requiring a belief in imaginary energies and pseudoscience. Most Western physicians and veterinarians start by visualizing nerves, vessels and muscle tissue beneath the dots and lines of ancient acupuncture points and channels. That knowledge, coupled with an extensive background in anatomy and physiology, takes the guesswork out of acupuncture. 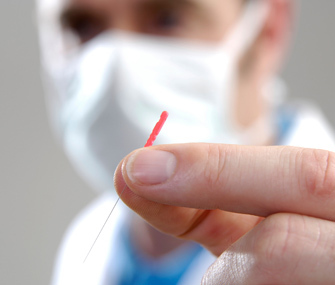 In other words, whenever one inserts a needle at one of these important sites, the body responds in predictable ways that lessen pain, relax muscles, improve digestion and dissipate stress. This brief tour of a few popular acupuncture points shows the connection between precise anatomical locations and the nervous system, so that acupuncture can become less of a mystery. 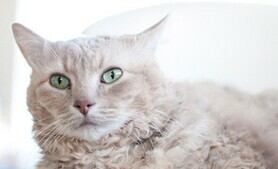 This picture shows my cat peacefully resting in a quasi-meditative trance. There is a point atop the head called “Hundred Convergences,” which promotes relaxation. The point’s descriptive name reflects the multiplicity of nerve branches found here. When activated, these nerves produce calming responses. They also improve brain oxygenation and blood flow. This photograph shows my cat resting comfortably in a quasi-meditative state while being needled at the Hundred Convergences site. When I lecture on the neurobiology of acupuncture to first-year veterinary students, they often ask if I will perform acupuncture on them right before an exam so they can feel calmer and sharper. I inform them that while putting a needle or applying pressure on this spot might improve brain function before an exam, its relaxing influences might also make them sleepy.I instead tell them to massage this point the night before so that they can get a good night’s sleep prior to the test! Where it is located on you: If you want to try your hand at massaging this acupuncture point on yourself, you can find the Hundred Convergences point an inch or two behind the highest point of your head on the midline. Some folks have a slight indentation here, which is natural. Most acupuncture sites occur in small depressions on the body. There is a point along the back leg called "Leg Three Miles" that, along with an adjacent point, has received intensive research attention. Some claim that the name Leg Three Miles is due to the fact that needling this point may provide improved vigor and reduced fatigue, allowing an exhausted traveler in ancient times to carry on for three more miles. 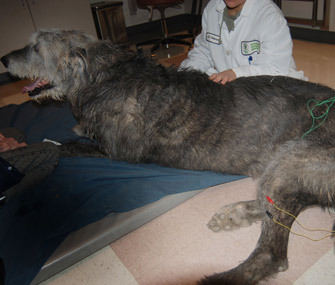 The dog in this image is receiving electroacupuncture. The versatility of this point shows itself in its ability to impact a host of medical disorders including abdominal pain, diarrhea, colic, stifle (knee) pain, immune dysfunction and weakness in the pelvic (hind) limb. 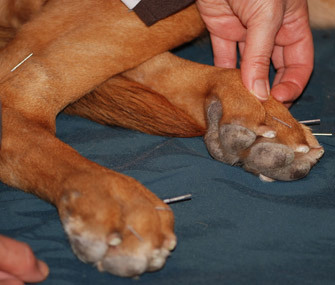 The dog in this image is receiving electroacupuncture at this point and an adjacent point through needles attached to the red and black alligator clips, respectively. The needles then deliver a small electrical pulse to the acupuncture point. This patient suffered from chronic stifle pain for years after surgery as well as back pain and digestive disorders. Leg Three Miles connects to nerves that supply the stifle joint, hind limb, low back and gastrointestinal tract, explaining the point’s multiple effects. Where it is located on you: If you want to try your hand at massaging this acupuncture point on yourself, you can find it by first going to the outer lower leg beneath the patella, or kneecap. One hand-width below the patella, find your shinbone, or tibia. From here, move one finger-breadth to the outside of the leg over the muscle. Massage deeply. Do you feel a slight ache? If you do, you’re likely on the point. In addition to acupuncture, acupressure and massage, walking also activates the nerves located here, helping to explain the therapeutic benefits of exercise and movement on digestion, pain and well-being. There are two sets of eight points that are needled to help treat nerve injury in the hands and feet, fight arthritic pain in the digits and improve circulation to the limb. These pointsare called the"Eight Evils" when referring to the hands or forelegs in animals, and "Eight Winds" when referring to the feet or hind limbs. Found in the webbed spaces between the fingers and toes, these points assist in recovering sensation and motor function in patients with spinal cord injury and peripheral neuropathy, including cats with diabetic neuropathy. 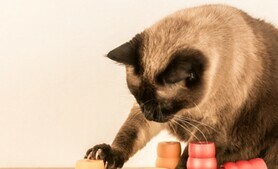 After I perform acupuncture here, I ask my veterinary clients or human patients to continue stimulating these sites at home with massage at the web spaces and along the sides of the digits. The names of the points, Eight Evils and Eight Winds, harken back to ancient Chinese beliefs that demonic or evil climatic forces entered the hands and feet at these sites, leading to pain, weakness and joint deformation. The goal of needling back then was to release the evil winds and demons. We now know that the effects of acupuncture on these points is neurologic, not supernatural. 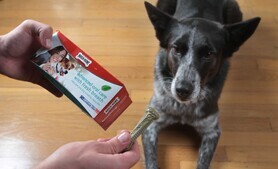 Acupuncture is being used to stimulate nerves to help a dog walk again. This image illustrates needle placement on the Eight Winds points for a dog that had difficulty walking after a tumor compressed his spinal cord. Following thesurgeon's removal of the mass, I stimulated the nerves at these sites in order to help him walk again. Where it is located on you: These points can be found by massagingthe thicker part of the webbed spaces in between your fingers and toes. 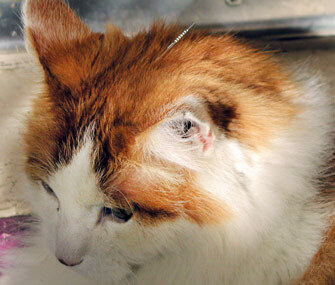 If you think acupuncture might help your pet, talk with your veterinarian. 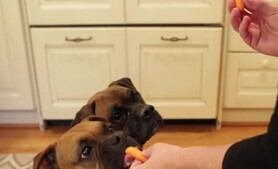 Dr. Narda Robinson, who is both a veterinarian and a doctor of osteopathic medicine, is the country's leadingauthority on scientific complementary and alternative medicine. She isthe director of Colorado State University's Center for Comparative and Integrative Pain Management.She is a frequent lecturer and the author ofnumerous scientific publications.